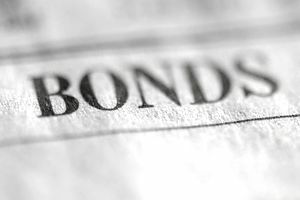 How Bond Funds Can Lose Money - Are Bonds Safe? Can bond funds lose money? A common misconception among beginning investors is that "bond mutual funds are safe." Investors can understandably confuse the term "fixed income" with prices that do not fluctuate. However, fixed income investments, such as bond mutual funds, can depreciate in value. So, how can investors actually lose money with bond funds and how can they minimize the losses or even gain when most bond funds are losing? Understanding how bond funds work must begin with how individual bond securities work. This is because bond mutual funds are pooled investments that hold bonds. But bonds and bond funds don't actually work the same way, especially when it comes to pricing and performance. If you understand the basics of bonds, you can also begin to understand the basics of bond mutual funds and the differences and similarities between the two. Let's say you decide to invest money in a bond, such as a 10-Year US Treasury Bond (aka 10-year T Note) and the bond is paying 2.00%. You buy $10,000 worth at a price of $100 each. Assuming you hold the T Notes to maturity, you will receive $200 (10,000 x 0.02) per year for ten years, at which time you would receive your $10,000 principal amount. This is why bonds are considered to be "fixed income:" Because the income (yield) is fixed to maturity. But what happens if you need to sell your bond before the ten years is up? This is where the perceived safety of bonds can get tricky. This article's title is "How Bond Funds Can Lose Money" but investments never really "lose" or "gain" money until they are sold; they depreciate (decline) or appreciate (gain) in value based upon their price, or more accurately their Net Asset Value (NAV). For example, you don't lose money when your house declines in value. That is, unless you sell it when the value is lower than the purchase price! In summary, you don't have a gain or a loss on an investment until you actually sell it. Similarly, if the bond you purchase declines in value and you sell it prior to maturity, you will have to sell it at a lower price in the market and accept the loss, which is now a "realized loss." Based upon the above example of the $10,000 T Note, the investor could receive less than the $10,000 principal amount if they sell the bond prior to maturity and it has declined in value. What Makes Bonds Prices Go Down and Bond Funds Decline in Value? Bond prices move in the opposite direction as interest rates. Here's why: Imagine if you were considering buying an individual bond (not a mutual fund). If today’s bonds are paying higher interest rates than yesterday’s bonds, you would naturally want to buy today’s higher interest-paying bonds so you can receive higher returns (higher yield). However, you might consider paying for the lower interest-paying bonds of yesterday if the issuer was willing to give you a discount (lower price) to purchase the bond. As you might guess, when prevailing interest rates are rising the prices of older bonds will fall because investors will demand discounts for the older (and lower) interest payments. For this reason bond prices move in opposite direction of interest rates and bond fund prices are sensitive to interest rates. Bond funds work differently than bonds because mutual funds consist of dozens or hundreds of holdings and bond fund managers are constantly buying and selling the underlying bonds held in the fund. As mentioned here previously, bond funds do not have a "price" but rather a Net Asset Value (NAV) of the underlying holdings. Managers also have to meet redemptions (from other investors withdrawing money from the mutual fund). So a change in bond prices will change the NAV of the fund. Bond funds are generally less risky than stock mutual funds. But investors are wise to understand that the value of a bond fund can fluctuate. The best idea for investors is to find suitable bond funds, hold them for the long term, and try not to pay much attention to fluctuations. Disclaimer:The information on this site is provided for discussion purposes only, and should not be misconstrued as investment advice. Under no circumstances does this information represent a recommendation to buy or sell securities.